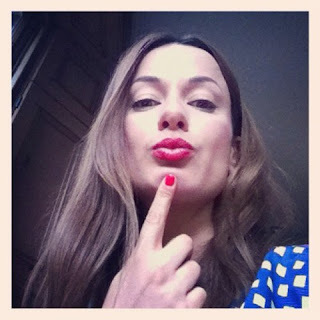 Beauty, Brains, Bites & Being: Red nail polish! I'm a huge red nail polish fan. Always have been. Lollipop is a bright cherry-based red with a crème finish. I am impressed that the application is very smooth and easy. It doesn't streak. Drying time is good, and the lasting power is decent. This shade is buildable for the desired intensity of pigment and opacity. It is a cherry pink-red with a semi-transparent finish in one coat. 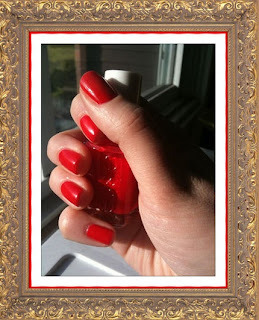 With two coats, it imparts a high-gloss, candy-like bright red color in an opaque finish.